Last week I posted an Ask the Buffalo call-out before heading to AppNation SF to spend a day with app developers, marketers, sales people and users. I watched some panels, I sat on some panels, and I walked the show floor and checked out the Samsung Galaxy 5. I talked to developers, I listened to analysts and I was pitched by folks from app shops big and small (mostly small). All the while I tried to find some good answers to the questions you asked in the comments of my pre-show post. Most of the app “developers” we work with are actually not developers at all… they are the idea men (and women) behind the apps, with someone else altogether actually doing the development work. Developers themselves these days are not hard to find – both a blessing and a curse. Posting that you need a developer on one of the many iPhone LinkedIn groups will get you dozens upon dozens of rabid developers knocking at your door looking to sell you their services. Before putting out the word however, you really need to make sure you have your own ducks in a row. If you have an app idea that you are really serious about, you need to create a spec document that really details out the features and layout of your app … the more detailed the better. Know that this is what the developer is going to use to come up with a price quote, and if you decide later that things have changed once the developer has started working, you can find yourself at their mercy in terms of add on fees for additional work you did not scope out. It is very difficult to fire a developer once you have had them start the project and then have someone else come in and pick up where they left off. Firing a developer often means that you are going to have to start over at the beginning. Also make sure you know things like if they are providing design services, will they be handling submission to app stores (under your name or theirs? ), and how they plan on handling the always-arising bugs long term. Remember that you more often than not get what you pay for – the cheapest developer is generally not a wise choice, but neither is the most expensive. When I gather quotes for a project, I almost always throw out the two most expensive, and the two cheapest, immediately. Overseas development is generally cheaper than what you can get in the US, though many firms have a US face, and then have the work done overseas themselves. Remember the time zone difference when hiring someone – India wakes up when the US goes to bed, and goes to bed when we wake up. If communication is needed, and it always is, you need to be ready for some late night Skype calls. The most common is to go to a mobile ad network such as iAd, AdMob, Tapjoy (or a company that aggregates them like Mobclix) and create an account, placing their code in your application. The other is to try selling your ad space on your own – generally something only the big boys have the time or sales team to manage. Even the do-it-yourself sales channel Burstly requires a huge starting inventory before they will help you setup your own storefront for ads. Its good to keep in mind the “why” of serving ads as well. Not all apps are a good fit for an ad supported model. You have to have a high engagement app that has good repeat usage to really make any money. The more time people spend in your app, the more chances they have to click on your ad. If you have something, for example, like an app that checks URLs to see if those domains are available for purchase, then ads simply do not make sense. Those of us always batting new website or company ideas around in our heads might want to check for URLs once a month or so, but that search would take me a few seconds and then I’m probably not going to go back to the app for another month. In other words, you won’t see enough regular traffic to generate much revenue off of serving ads. An app like that is much better served by a pay to download model, or other creative business models like affiliate revenue setups. There’s a bunch of good info for you to chew on. Got an idea for an app? It’s easy to find someone to build it for you, and the going rate for app development is relatively cheap right now. 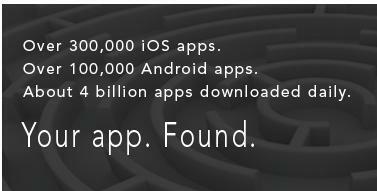 But getting the app exactly as you want it, getting it into app stores, getting it noticed and downloaded, and generating revenue from it? That’s the hard part. So who out there still wants to be an app developer?